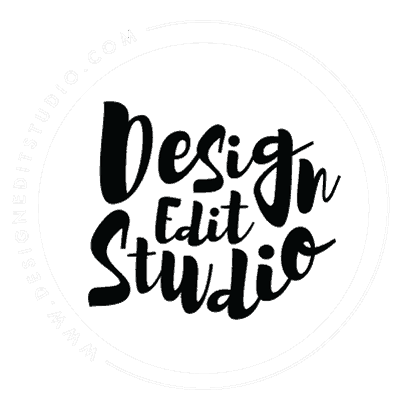 BY SUBMITTING THE FIRST AGREED PAYMENT TO DESIGN EDIT STUDIO LLC. I ACCEPT ALL THE TERMS OF THIS AGREEMENT INCLUDING THE MAIN PART OF THIS AGREEMENT AND EXHIBIT “A.” OR BY OTHERWISE SIGNALLING YOUR ACCEPTANCE OF THIS AGREEMENT BY EMAIL OR OTHERWISE, YOU ARE CREATING A LEGALLY BINDING AGREEMENT BETWEEN YOU AND DESIGNER. DESIGNER IS NOT REQUIRED TO SIGN THIS AGREEMENT AND THIS AGREEMENT SHALL BE VALID AND BINDING WITHOUT SUCH DESIGNER SIGNATURE. EXHIBIT “A” IS LOCATED IN THE CLIENT INVOICE AS THE WORK OR PROJECT DESCRIPTION WITH PRICING. 1. The Engagement. Client hereby engages the services of Designer to design and create a certain Internet web site as described herein and on Exhibit “A,” which Exhibit “A” is attached to and incorporated into this agreement (“Designer’s Work” herein, jointly, individually and collectively). Designer’s Work shall be based upon the materials, ideas, contributions, input and creations created and supplied by Client or any other parties including but not limited to any previous designers (“Client’s Elements” herein, jointly, individually and collectively) as well as the materials, ideas, contributions, input and creations created and supplied by Designer which materials, ideas, contributions, input and creations shall be part of Designer’s Work but Client and Designer shall not be joint authors as that term is defined in the United States Copyright Act of 1976. Additionally, Designer’s Work shall include any premade design templates created by Designer. Designer is an independent contractor and not an employee, agent, fiduciary of or in any other relationship to or with Client. The transaction that is the subject of this agreement is solely for Designer’s services even though incidental to such services, some form of tangible personal property may be delivered to Client. a. All of Designer’s Work shall be completed to Client’s reasonable satisfaction in a reasonable period of time and Client shall be deemed to have approved all such Designer’s Work unless Client notifies Designer in writing by email or otherwise of Client’s disapproval within forty eight (48) hours after Designer delivers any aspect of Designer’s Work. Designer shall not be liable for any damages or costs resulting from the failure to deliver the Designer’s Work as set forth herein or in Exhibit “A” because Client and Designer both understand that the creation of a web site may result in delays of all kinds. Client shall provide Designer with access to Client’s FTP or other account in order for Designer to perform all of the services of Designer in this agreement. b. Designer shall have the right to terminate this agreement and Designer’s Work upon one (1) days written or email notice to Client and in such event, Designer shall refund any unearned fees. 2. Compensation. Client shall pay Designer the sums at the times set forth in Exhibit “A.” Until full payment, Designer shall have a security interest in any domain used for The Web Site. In the event that Client shall not make those payments when due or in the event Client fails to deliver any of Client’s Elements to Designer, Designer shall be entitled to suspend Designer’s work on The Web Site until such payment or delivery is made, remove The Web Site from Designer’s or a third party’s web server, retain a security interest in any domain or terminate this agreement and all sums then unpaid shall become immediately due and payable and shall bear an additional sum of 1.5% per month interest or $15.00 per month interest, whichever is higher, until payment is made and Client shall be responsible for all costs incurred by Designer to collect any such payments and Client shall have no rights in or to Designer’s Work. In the event that Client makes changes to The Web Site that vary from the specifications in Exhibit “A,” Client and Designer shall agree in writing as to any additional fees that may be due before Designer shall be obligated to do any such additional work and any such additional fees shall be payable in advance of Designer doing any Designer’s Work. In the event Client elects to cancel Designer’s Work and The Web Site, the full contract price as set forth on Exhibit “A” shall be payable in full upon such election. All aspects of The Web Site shall be posted on Designer’s web server until final payment is made and at that time only, Designer shall upload The Web Site to Client’s designated server. 3. Designer’s Rights. Designer shall be the sole and exclusive owner throughout the world in perpetuity of all rights in and to Designer’s Work including but not limited to any and all rights of contract, copyright, trademark, trade dress and all other rights including all renewals and extensions thereof. Designer’s Work shall include but shall not be limited to any ownership rights in and to any materials created by Designer including but not limited to text, the design of The Web Site and any original graphics and artwork and any files containing the same, any of Designer’s proprietary software including any coding or programming, whether HTML or any other coding or programming, and any techniques, structures, technical designs, algorithms or individual modules of program code that may be involved in the creation of Designer’s Work and any and all other elements not specifically designated as Client’s Elements. However, Designer shall not have any rights in or to any logo created for Client nor shall Designer have any rights in or to Client’s unique domain except as security in the event of non-payment as set forth above name, such logo and unique domain name being expressly deemed to be a part of Client’s Elements. Designer shall be entitled to copyright Designer’s Work as they appear on The Web Site and have that copyright notice appear on The Web Site and in the document source code. Designer shall be entitled to have a credit line for The Web Site design and to have Designer’s logo included on the home page of The Web Site including a hyperlink to Designer’s own web site, which credit line, logo, copyright notice and hyperlink shall not be removed by Client or on Client’s behalf without Designer’s express, prior, written consent. Designer shall be entitled to link to The Web Site from Designer’s web site as well as mention Client as one of Designer’s clients and use, make copies of and mention The Web Site as a reference sample for the type of work Designer has done. Designer shall be entitled to use and make copies of The Web Site and any of its elements including Client’s Elements in any marketing, advertising, promotion or otherwise on Designer’s behalf in any media and languages whatsoever and whether during or after the term of this agreement. Designer shall be entitled to sell, assign and otherwise transfer Designer’s rights in and to this agreement and in and to Designer’s Work to any other parties including but not limited to any parties owned and controlled by or otherwise related to Designer. 4. Client’s Rights. Upon the full payment by Client of all sums due Designer, Designer licenses Client the non-exclusive right and license to use all of the Designer’s Work for the purposes of The Web Site only and in any advertising or promotional materials for The Web Site but only in the event that no income is received by or credited to Client for such advertising or promotional uses and that provided that in all such advertising and promotional uses Designer is given credit for The Web Site design and Designer’s notice of copyright in all of Designer’s Work is included. Notwithstanding the foregoing, Client shall not be entitled to possession of any aspect of Designer’s Work. This non-exclusive right and license that Designer is granting to Client will terminate in the event Client breaches or otherwise violates any of the provisions of this agreement including but not limited to all payment provisions or if Client materially alters any aspect of Designer’s Work. Client may apply to copyright The Web Site in Client’s name but Client’s rights in such copyright shall be subject to and governed by this agreement and such copyright shall not enlarge or extend any of Client’s rights in and to Designer’s Work nor in or to The Web Site. Client may not assign, license or otherwise transfer the rights Designer has granted Client or any other aspect of this agreement to any other party or entity except that Client may utilize The Web Site and Designer’s Work on any other web server but only on one such web server at any time. Client has no rights to manipulate, modify, alter, scan, reverse engineer, decompose, disassemble or otherwise change in any fashion any of Designer’s Work or have any other party do any of the foregoing. Client has no other rights to any further use of Designer’s Work in any derivative works based upon The Web Site or otherwise in any medium or technology whatsoever, whether now known or hereafter discovered. All rights not expressly granted to Client by this paragraph 4 are reserved to Designer. In the event of any material modification to The Web Site including but not limited to the removal of Designer’s credit line, logo, copyright notice and hyperlink by Client or on Client’s behalf, Designer shall have the option to terminate this license and in the event Designer exercises that option, all rights to Designer’s Work shall be immediately terminated and thereafter Client shall have no rights to use any of Designer’s Work. 5. NO WARRANTIES. DESIGNER’S WORK IS PROVIDED ON AN “AS IS” BASIS WITHOUT ANY WARRANTIES, EXPRESS OR IMPLIED, OF ANY KIND WHETHER AS TO USE, MERCHANTABILITY, FITNESS FOR A PARTICULAR PURPOSE OR OTHERWISE. WITHOUT LIMITING THE GENERALITY OF THE FOREGOING, DESIGNER DOES NOT WARRANT THAT ANY OF DESIGNER’S WORK IS COPYRIGHTED, PATENTED, TRADEMARKED OR OTHERWISE PROTECTED OR IS CAPABLE OF BEING COPYRIGHTED, PATENTED, TRADEMARKED OR OTHERWISE PROTECTED OR THAT DESIGNER HAS ANY RIGHTS OF ANY SORT TO ANY DESIGNER’S WORK AND DESIGNER DOES NOT WARRANT OR REPRESENT THAT ANY OF DESIGNER’S WORK SHALL BE SUCCESSFUL IN CREATING ANY SALES OR INCOME FOR CLIENT. DESIGNER SHALL NOT BE LIABLE TO CLIENT OR ANY OTHER PARTY FOR ANY DIRECT OR INDIRECT COMPENSATORY, SPECIAL, INCIDENTAL, OR CONSEQUENTIAL DAMAGES OR COSTS OF ANY CHARACTER INCLUDING BUT NOT LIMITED TO DAMAGES OR COSTS FOR COPYRIGHT INFRINGEMENT, TRADEMARK INFRINGEMENT, PATENT INFRINGEMENT, LIBEL, SLANDER, INVASION OF PRIVACY, INTERFERENCE WITH THE RIGHTS OF PUBLICITY, LOSS OF GOODWILL, LOSS OF DATA, LOST PROFITS, WORK STOPPAGE, COMPUTER FAILURE OR MALFUNCTION WHETHER AS A RESULT OF VIRUSES, TROJAN HORSES OR OTHERWISE, OR FOR FAILURE OF DESIGNER’S OR ANY OTHER WEB HOSTING OR OTHER SERVER OR FOR ANY FAILURE OF DESIGNER OR ANY OTHER PARTY TO PROVIDE INTERNET ACCESS FOR ANY PERIOD OF TIME OR FOR THE ACTS OR SOFTWARE OR PROGRAMS OF ANY OTHER PARTY INCLUDING BUT NOT LIMITED TO “HACKERS” OR OTHERS WHO INVADE, DISRUPT OR OTHERWISE INTERFERE WITH OR DAMAGE THE WEB SITE OR THE INFORMATION IN OR ON THE WEB SITE OR OTHERWISE OR FOR ANY SOFTWARE OR PROGRAMS OR OTHER DESIGNER’S WORK CREATED OR SUPPLIED BY DESIGNER OR FOR ANY AND ALL OTHER DAMAGES OR COSTS INCLUDING PUNITIVE DAMAGES OR LOSSES. DESIGNER WILL NOT BE LIABLE FOR ANY DAMAGES OR COSTS IN EXCESS OF THE TOTAL CONTRACT PRICE FOR THE SERVICES RENDERED HEREIN, EVEN IF DESIGNER SHALL HAVE BEEN INFORMED OF THE POSSIBILITY OF SUCH DAMAGES OR COSTS, OR FOR ANY CLAIM BY ANY OTHER PARTY. THE WITHIN LIMITATION OF WARRANTIES MAY BE LIMITED BY THE LAWS OF CERTAIN STATES OR OTHER JURISDICTIONS AND SO SOME OF THE FOREGOING LIMITATIONS MAY NOT APPLY TO CLIENT AND CLIENT MAY HAVE OTHER RIGHTS THAT MAY VARY FROM STATE TO STATE. 6. Client’s Promises. Client represents and warrants: that neither the Client’s Elements nor entering into this agreement nor the work on The Web Site by Designer including but not limited to any work by Designer on any Client’s Elements including any Designer’s Work created by Designer which are included in any Client’s Elements will impair or violate any rights of any party including but not limited to rights of contract, copyright, trademark, trade dress, privacy, publicity, libel or slander or any other rights and that all of Client’s Elements comply and will comply with all applicable laws, statutes, regulations of any governmental or other body exercising jurisdiction over this transaction, The Web Site and the subject of the within agreement anywhere in the world; that the Client’s Elements are original with Client; that Client shall be solely responsible for full compliance under all state and federal laws, statutes, regulations and the like regulating commerce and otherwise including but not limited to the collection, payment or remission of any sales or other taxes anywhere in the world whether as to any good or services sold via The Web Site or as to any aspect of the within transaction; that nothing on The Web Site or Client’s conduct will constitute “spam” or violate any rules from any service provider or otherwise; that Client’s products and services which are or may become the subject of this agreement are and shall remain effective, safe, not dangerous or harmful in any way; and that Client shall be solely responsible for copyrighting and otherwise protecting Client’s Elements. These representations and warranties shall survive the termination of this agreement. 7. Other Materials. In the event that any portion of Designer’s Work constitutes a work for which Designer is aware that Designer cannot grant Client the rights set forth above in paragraph 4, Designer shall notify Client about the same. In the event Client desires to obtain rights to such works, the cost of such rights and any license with regard to such rights shall be at Client’s expense. Designer shall not be responsible for any failure to obtain such a license. In the event that Client fails or refuses to license such work or materials owned by third parties and as a result Designer is unable to complete Designer’s Work, the said failure or refusal shall not relieve Client of the obligation to pay the full contract price to Designer. Any work licensed by Client under the provisions of this paragraph shall be deemed to be part of the definition of Client’s Elements and any of Designer’s Work created by Designer as part of any such work so licensed shall be subject to Client’s warranties and indemnities set forth in this agreement. 8. Other Client’s Elements. In the event that any portion of Client’s Elements constitutes a work for which Client cannot make the representations set forth above in paragraph 6, Client shall notify Designer about the same. Before initiating the preparation of any portion of Designer’s Work that contains one or more such works, Client shall, at Client’s expense, cause Designer, Designer’s successors and assigns, to have and obtain the full right to use all of such work on and in The Web Site herein and otherwise as contemplated by the terms of this agreement including but not limited to use in advertising and marketing in all media and languages and shall provide to Designer a written license granting Client and Designer such rights. Designer shall not be obligated to use any such works until such license is provided. Any work licensed by Client under the provisions of this paragraph shall be deemed to be part of the definition of Client’s Elements and any of Designer’s Work created by Designer as part of any such work so licensed shall be subject to Client’s warranties and indemnities set forth in this agreement. 9. Indemnities. Client shall defend and save and hold harmless Designer, Designer’s affiliated and related corporations and other related business entities, their or Designer’s respective successors and assigns included but not limited to any third party web hosts of The Web Site and their or Designer’s licensees, partners, employees, agents, attorneys, shareholders, officers, directors against any and all claims, demands, costs, awards, damages and the like, including attorneys fees, that may arise from a breach or claimed breach of any of Client’s warranties, representations or obligations under this agreement, whether or not a breach of those warranties, representations or obligations is finally sustained and whether or not any litigation or claim is filed, or for any other cause of action or claims by any third parties including but not limited to any governmental body whether or not any litigation or claim is filed or sustained. Additionally, in the event that any party makes any claims or files any legal proceedings against Client or Designer related to claims that any Client’s Elements or Designer’s Work infringes upon or otherwise violates any rights or claimed rights of such party, Client shall not make or file any claims or cross claims or counter claims or similar claims or legal proceedings against Designer in regard to any such claims made by such party or for any other reason. These indemnities shall survive the termination of this agreement. 10. Competing Work. Nothing contained in this agreement shall prohibit Designer from designing web sites for or otherwise working for any person, firm, company, corporation or otherwise even though that person, firm, company, corporation or otherwise may be in a business that is competitive to Client nor from using any of Designer’s Work on such web sites or otherwise. 11. Non-Competition. During and after the term of this agreement, Client shall not disclose to any person or other entity any of the secrets, methods, business information including but not limited to pricing, systems or the like used by Designer in its business. All of the foregoing and other such information of any nature made available to or otherwise obtained by Client by virtue of Client’s association with Designer are expressly deemed to be confidential information and trade secrets belonging to Designer. Client shall hold all such information in strict confidence during the term of this agreement and after its termination. 12. Modifications. To the extent that Client and Designer agree to have Designer perform any periodic modifications and/or additions to The Web Site beyond those specifications contained in this agreement or in Exhibit “A,” all the provisions of this agreement including but not limited to all provisions regarding the grant or retention of rights as to each of Designer and all of Client’s representations, warranties and indemnities shall govern all such modifications and/or additions, except that Client and Designer shall negotiate for any additional fees. Client agrees that Client shall not make any changes or modifications to The Web Site nor allow others to do so without Designer’s express, written consent. 13. Other Parties. Designer shall be free to hire or engage other parties to perform any of Designer’s services or any aspect of Designer’s Work. Client shall make no claim against Designer for any of Designer’s acts or omissions or the acts or omissions of such other parties arising out of Designer’s or such other parties’ performance except when such performance is the result of willful misconduct or gross negligence. Designer shall be free to transfer, sell and assign this agreement or any aspect of this agreement to any other party including but not limited to any entity related directly or indirectly to Designer. a. Designer may provide Client the opportunity of having The Web Site hosted on another party’s web server. Should Client elect to have The Web Site hosted by such other party, Client shall be solely responsible for the full performance of all obligations as between Client and such other party. Designer shall never be liable in any manner whatsoever for any claims, damages, costs or in any other manner as a result of any arrangement or agreement Client shall make with such other party. Notwithstanding such other party hosting, Designer shall be provided full access to The Web Site including all passwords in order for Designer to do Designer’s Work herein. 14. Miscellaneous. This agreement shall be subject to and interpreted under the laws of the state of Michigan applicable to agreements wholly to be performed therein as well as the copyright law or other law or laws of the United States, where applicable. It is, along with the attached Exhibit “A,” the complete understanding between Client and Designer and may be modified and any of its provisions waived only by a writing signed by both Client and Designer. It shall bind and benefit Client’s and Designer’s heirs, assigns and successors in interest but any restrictions on assignment and transfer otherwise contained in this agreement shall otherwise apply. Captions in this agreement are for explanation purposes only and have no substantive effect. A waiver of any provision of this agreement, or any claimed breach thereof, shall not be deemed a waiver of any other provision or breach. All remedies provided Designer in this agreement are cumulative and the exercise by Designer of any remedy shall be without prejudice to Designer’s exercise of any other rights or remedies available to Designer. Any dispute arising under this agreement shall be determined only by a court of competent jurisdiction only in Howell, Michigan and Designer shall be entitled to injunctive relief. Client expressly consents to personal jurisdiction in such state and in such court. In any action under this agreement, the prevailing party shall be entitled to attorneys fees and court costs. In the event any portion of this agreement shall be held invalid or unenforceable it shall not affect the validity or enforceability of the rest of this agreement. This agreement may be executed in one or more counterparts, each of which shall be deemed an original and all of which, taken together, shall be construed as a single instrument. Fax and email signatures shall be valid as originals. Refund Policy. In the event the Client experiences severe circumstances and needs to cancel a project, if work on the project has not started, refunds can be considered upon request. Once work has begun on the Client’s project, the fees set forth in this contract are nonrefundable. Chargebacks. If the Designer receives a chargeback or payment dispute (i.e. PayPal Dispute) from a credit card company or bank, the Client’s project will be suspended without notice. A $75 chargeback fee (issued to recover fees passed on to us by the credit card company), plus any outstanding balances accrued as a result of the chargeback(s) must be paid in full before service is restored, files delivered, or any further work is done. Default in Payment. The Client shall assume responsibility for all collection of legal fees necessitated by default in payment. Abandonment Policy. Payments are nonrefundable for Clients who fail to respond to our good-faith efforts to communicate for a period of 30 days, and we reserve the right to terminate a project and consider it abandoned by the Client after 30 days of non-communication. Email or a phone call is considered a good-faith method of communication on our part. After the Site is Live. In the event that Client elects to have Designer provide any services to The Web Site or make any changes to Designer’s Work after Designer’s work has been posted to a server, and website is live, is considered maintenance and shall be paid for at an hourly rate of Ninety Five ($95.00) dollars per hour. Continuing Website Maintenance and Promotion. No agreement for continuing website maintenance and promotion is contained in this contract. No website maintenance or promotion will be performed by Designer unless all parties reach an agreement to do so and all parties sign a website maintenance or website promotion agreement. There is no guarantee that you will earn any money using any of the ideas presented in our in materials or training. Examples in our materials are not to be interpreted as a promise or guarantee of earnings. Many factors will be important in determining your actual results and no guarantees are made that you will achieve results similar to ours or anybody else’s. No guarantee is made that you will achieve any result at all from the ideas in our material. You agree that we will not share in your success, nor will we be responsible for your failure or for your actions in any endeavor you may undertake.